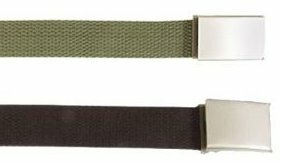 New 40mm military style belt available in olive green and black. Easy fasten metal buckle. Adjustable up for up to 115cm waist.